The CEO Insights: Please tell us about yourself and BTI Consultants? 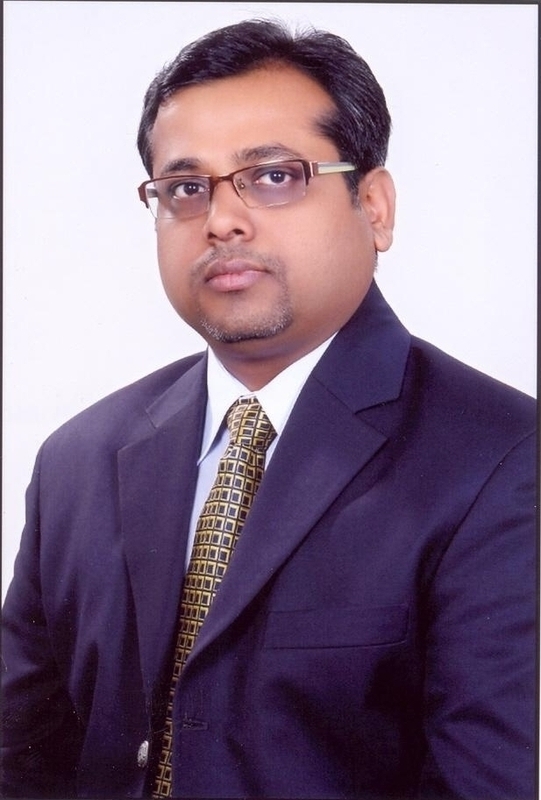 James Agrawal: I oversee and manage Executive Search Services business of BTI Consultants, India within the Kelly Outsourcing & Consulting Group (KellyOCG) in Asia Pacific. I have more than 19 years’ experience in the area of talent acquisition and management. And have helped in senior leadership coaching & development along with developing internal team/individuals for leadership roles with a defined objective and goal. Prior to this, I have looked after and managed many business groups in various capacities and was instrumental in conceptualizing, managing & expanding new business lines. I enjoy reading management books related to innovations, creativity and best practices, and also like to volunteer with organizations that help less fortunate. BTI Consultants specializes in ‘C’ level searches. The company has been in the industry for 30-years and assists clients in acquiring the best talent to match their strategic direction and growth of the company. As part of the Kelly Outsourcing and Consulting Group (KellyOCG), outreach and network extends beyond search to include Outplacement with the Ayers Group, HR Consulting services and Outsourcing services.BTI Consultants has its presence in countries like China, India, Indonesia, Korea, Malaysia, Singapore and Thailand. The CEO Insights: We want to know more about your service offerings? James Agrawal: Further, our company specializes in! The CEO Insights: How has KellyOCG helped you get foothold in Asia Pacific? BTI Consultants has been able to capture the attention of C-level executives across sectors by catering to various services which has helped in establishing a foothold in the India staffing market. The CEO Insights: How should someone approach for changes in a large organization? James Agrawal: I think it’s always important to have a well structured plan in place and have the right team to address it. Leaders need to accept change and this need to percolate down too through the right communication channels, ensuring the entire organization quickly adapts to it. The CEO Insights: With today’s economic condition, how do you keep people’s spirits up when speaking about their economic strains? James Agrawal: Looking at the last five years, the economy has gone through various changes that has reflected on company balance sheets year after year. The performance of a particular company is often a reflection of its employees credibility and in order to keep the morale high, it is vital to have the right strategies in place. The CEO Insights: How do you teach people how to break through the glass ceiling? James Agrawal: We think that the Indian workforce today has come a long way in terms of skill and experience. In order to break through the glass ceiling, we think one of the best approaches is to have the right mentors who are constantly guiding and bring out the best in individuals. James Agrawal: BTI Consultants India caters to Indian as well as clients abroad. In fact 40% of our business comes from our foreign client base. Organizational change in culture while dealing with clients across geographies is something for everyone to be aware of and needs to be approached in a sensitive way. The CEO Insights:Measuring ROI for training & development has been a major concern for senior leadership, any specific approach you have for measuring them? James Agrawal: I think an important approach is to have well defined metrics that easily helps one determine the effectiveness of training programs. Also what is important is to measure the performance consistently and after regular intervals to check on improvements made. The CEO Insights: What did you do to change the company culture once you took the helm? James Agrawal: I think for any leader it’s important to quickly assess the ground realities and take measures/bring in changes required. After I took over at the MD of BTI Consultants India, one of the things I tried to instill is the culture of BTI that existed in APAC, ensuring we have the same identity and working styles and provide the same experience to our customers, irrespective of the countries they transact in. James Agrawal: We are a very niche search firm and its important that we meet expectations of our clients and are consistent in delivery. We have worked hard to ensure that brand BTI today is recognized as one of the leading search firms in India. What has helped us position ourselves differently has been our domain expertise to cater to clients with varied requirements and our quick turnaround times. We have been very focused on acquiring quality talent who understand the market and our clients expectations well. The CEO Insights: So what was your burning platform, and how did you tackled it? James Agrawal: I think for any business, performing during the economic downturn was a testing time. It was very important for us to stay focused then and operate without getting hit hard. We managed it well and sailed through tough times. One of the things that worked was instilling confidence in the team and letting them drive their respective businesses. Believing in my team was the best thing I did during times of uncertainty, my team lived up to my expectations! The CEO Insights: Being a Founding President of NEXUS, how has the increased adoption of social media changed your business model? James Agrawal: Social media is changing the rules of the game fast and it is important that we look at newer ways of connecting with talent. We are in the business of placing senior talent; the best way of connecting with them has been through popular social platforms. As we go forward, we will see more businesses being dependent on social platforms for quick access, engagement and gains. The CEO Insights: What should be the right time for an entrepreneur for writing books, coaching and doing seminars? James Agrawal: I think this is truly driven by individual passions and confidence in oneself. We have seen leaders as young as 30 years writing books, conducting workshops and giving career advice. The CEO Insights: Your advice for a person to revolutionize and drastically improve all areas of their life? James Agrawal: I think getting ones priorities right is half the battle won. Focus, dedication and staying connected to reality will help one stay away from distractions and plan their lives better. Extracurricular activities help define individuals, one should focus on having this aspect addressed too. The CEO Insights: Who is your role model whose leadership trait you follow or like? James Agrawal: Jack Welch, JRD Tata and Warrant Buffett are leaders I look up to. What has been unique about them is their ability to take people along and build world class enterprises. An important aspect of any business is that it provides employment and improves ones standard of living over time. I think the responsibility of leaders today is to not just help you grow professionally but individually too. The CEO Insights: Do you follow some sort of daily routine to get yourself motivated in the morning? James Agrawal: I plan my day well and try to have a healthy work-life balance. It’s important that that you constantly innovate, learn and try to do things differently to keep yourselves motivated. I am not a believer of a job getting mundane. The onus is on us to make it exiting. James Agrawal: I like reading management books that helps me with newer perspectives towards solving problems, helps me evolve as a professional and ones that I can connect with. Books have always been an important aspect of my life as they have largely helped me mould myself and have given me an identity. I am not a great movie buff. James Agrawal: Reading books, mentoring budding leaders, listening to some good music is what keeps me occupied. Travelling to new places is close to my heart, I look forward to my vacations and trips.